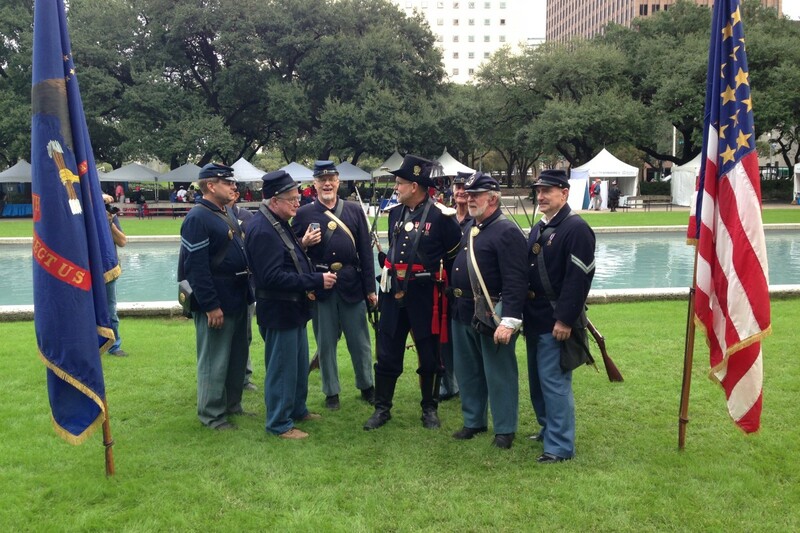 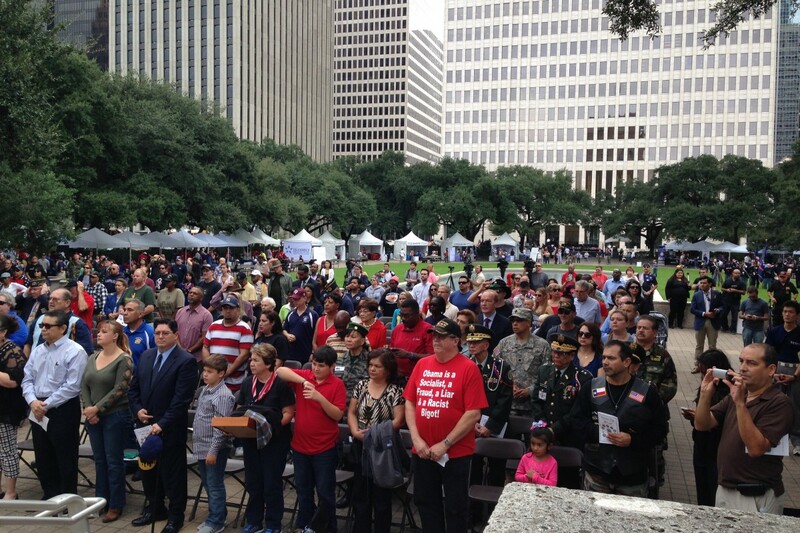 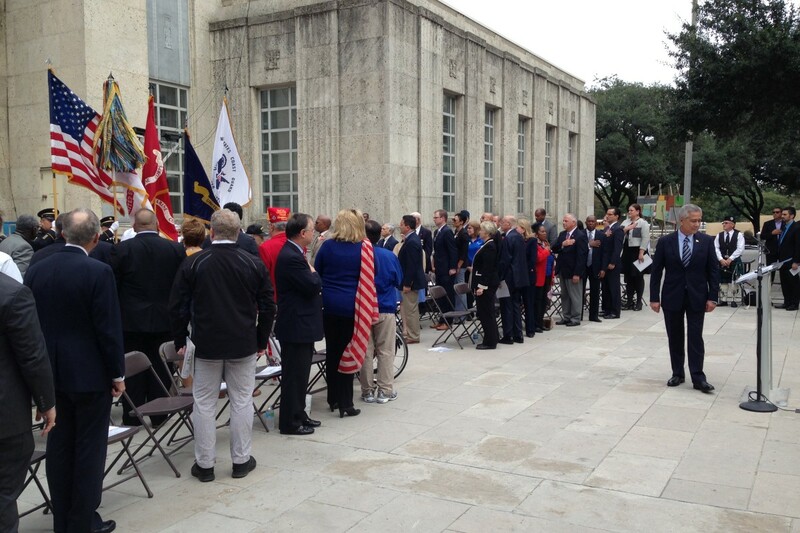 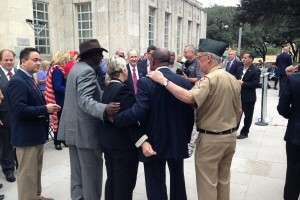 The city of Houston honors military veterans with a ceremony at City Hall and a parade downtown. 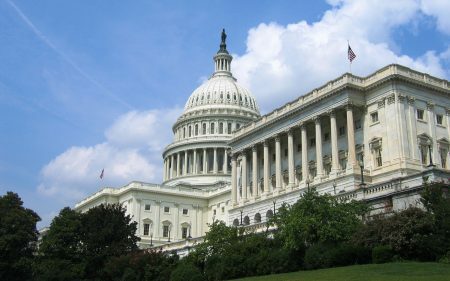 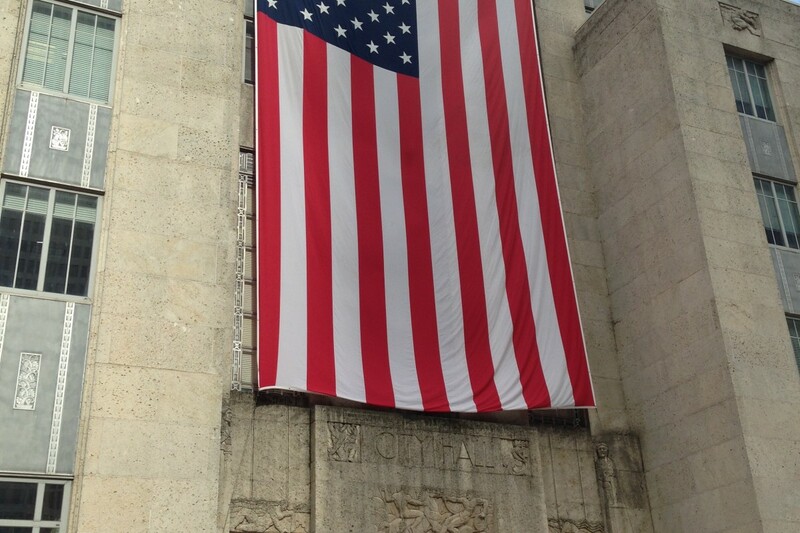 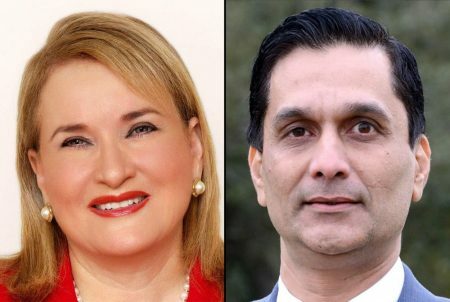 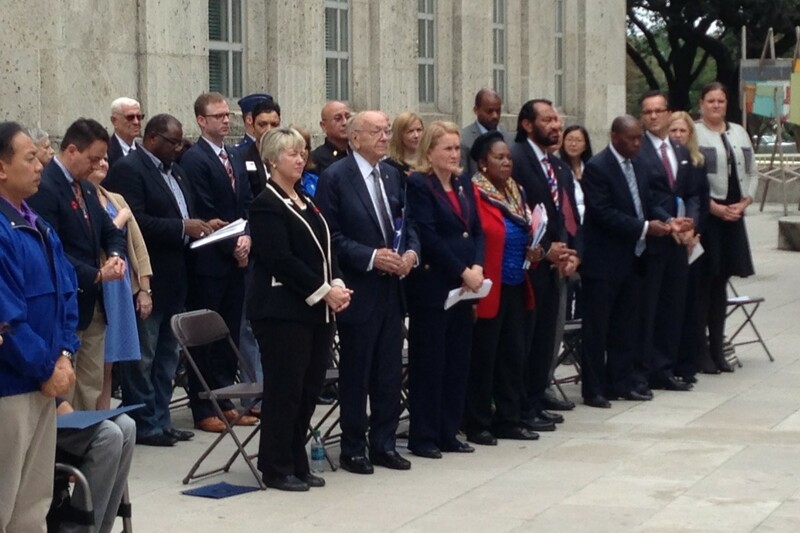 City council members, state legislators and U.S. Congress members were part of the ceremony. 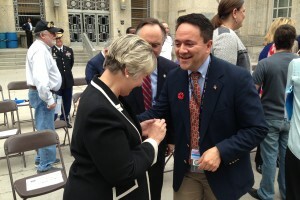 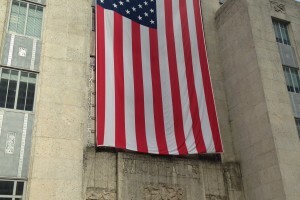 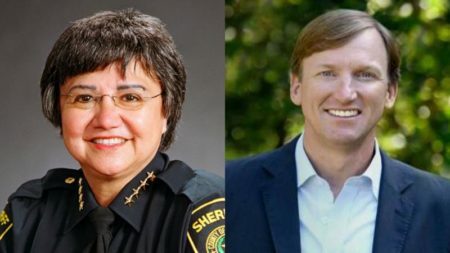 Mayor Annise Parker, as well as other city, state and federal government officials, commemorated Veterans Day with flags, music and speeches. 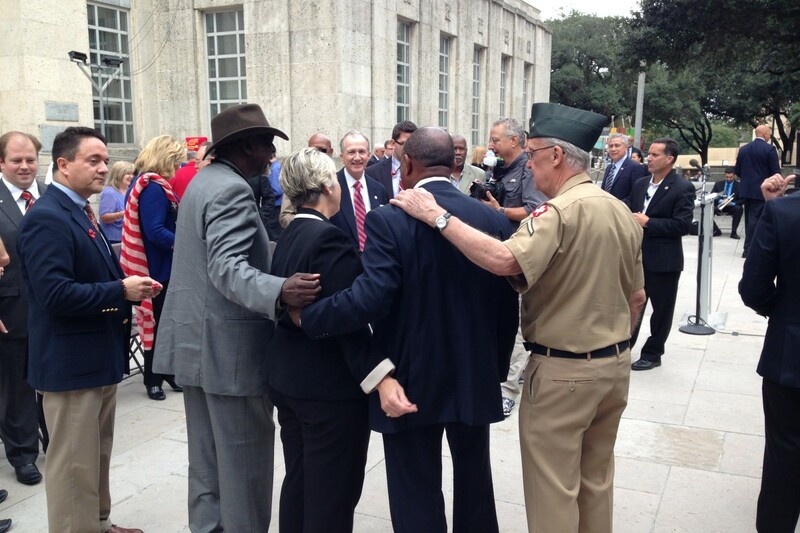 And some of that music came from Congressman Al Green. 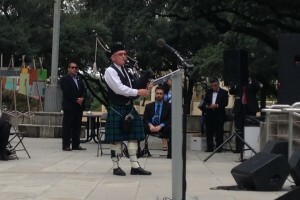 Houstonian Ian Martin played bagpipes and veterans Vincent Grenfell Sr. and John Gutierrez Martinez led the crowd with the Pledge of Allegiance. 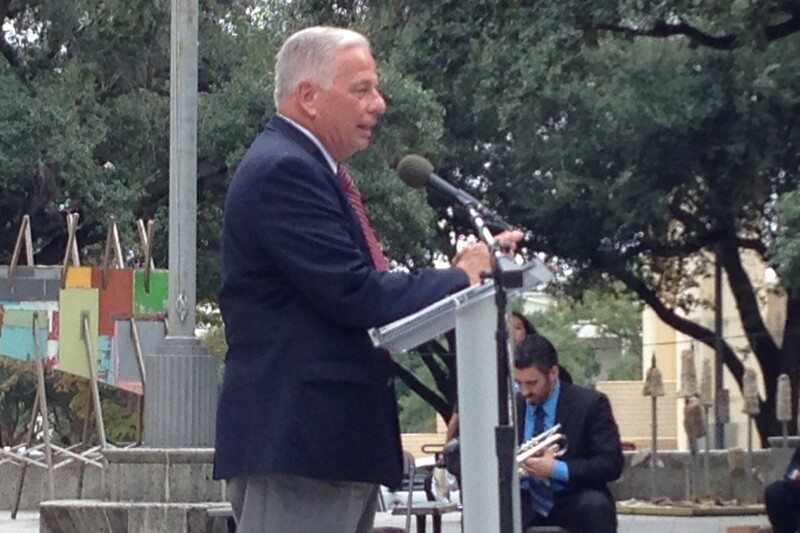 Congressman Gene Green says our freedoms are due to veterans. 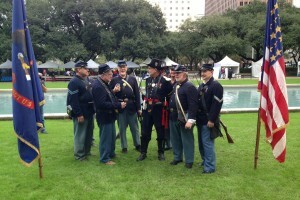 After a rifle salute by Company A, 13th U.S. Infantry, “Taps” was played by Jason Browne. Booths were set up around the grounds of City Hall, with free health checks, flu shots and other services. 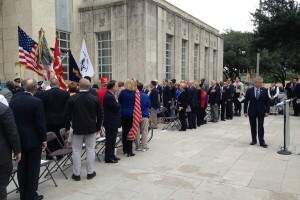 The ceremony was followed by a downtown parade. This is Mayor Parker’s last time to host the Veterans Day commemoration and parade, as she leaves office next year.